Dubai: Young Pakistani field helper in UAE Mohammad Haseebur Rehman could never imagine that learning English will change his fate. Rehman’s salary was tripled after he got promotion within the company only because he started communicating in English after he attended weekend courses offered by Smart Life – a non-for profit Dubai based foundation that provide free weekend English classes to blue-collared workers. 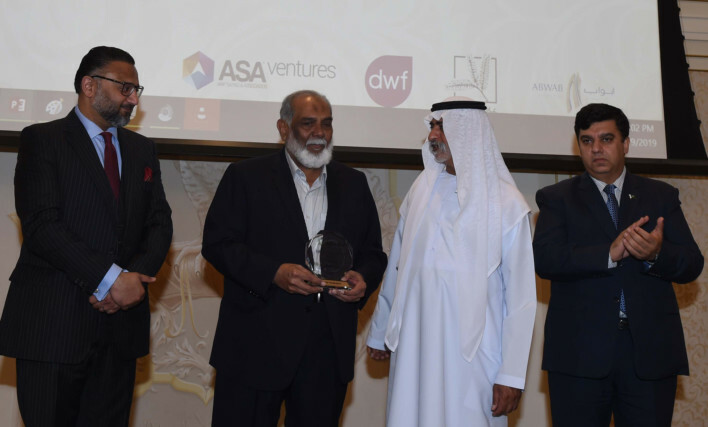 Rehman was taken aback when he was called on the stage to receive the ‘Most Aspiring Employee of the Year’ award from Shaikh Nahayan Bin Mubarak Al Nahayan, Minister of Tolerance. He shared the stage with top businessmen, entrepreneurs and professionals who were also given awards in their respective fields. 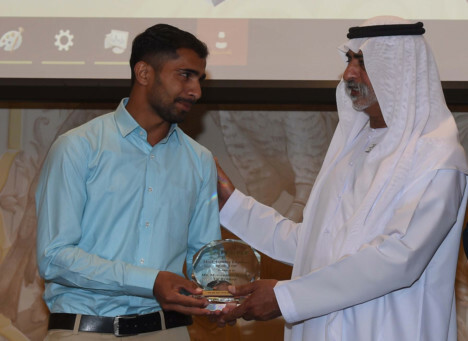 “When I came to Dubai in November 2017 as a field helper, I realised that I need to learn English to climb the ladder of success and fortunately a team of Smart Life came to my company Averda Environment Services and offered us to attend free English language classes,” Rehman told Gulf News on the sideline of the award ceremony organized by the PEOPLE (Pakistani Executives Organization for the Promotion of Leadership and Entrepreneurship). It is a Dubai-based voluntary, not-for-profit associated dedicated to promote excellence and entrepreneurship within the Pakistani diaspora living outside Pakistan. “Some 33 people from my company joined the course but only four of them are left now as it is quite demanding to attend the two-hour class every Friday which is the only off day for us,” he said. But Rehman was determined to learn the language and he has been attending the classes every Friday for the last one and half year. Before coming to the UAE, Rehman worked at his father’s grocery store in Lahore but he always dreamt big and decided to come to Dubai in a bid to move forward in his life. “My salary was Dh900 when I joined here but I stayed positive and now salary is Dh3000 and it happened within one and half year,” said Rehman with a broad smile. Rehman’s future plans are to complete his graduation and set up his own business. Speaking on the occasion, Kashif Khan, founder and president of PEOPLE, said that the event was held to acknowledge leaders and entrepreneurs who are not only visionaries but also executed something meaningful. “We have also taken initiative to empower blue-collar workers and create opportunities for young entrepreneurs. The time has come to convert Pakistan’s challenges into opportunities as it enters into a revolutionary phase with better governance, accountability and patronage,” he added. Shaikh Nahayan also gave awards to a number of businessmen and entrepreneurs who excelled in their fields. Lifetime achievement award was given to Haji Mohammad Iqbal, Chairman of ARY Group and Nabila Maqsood was awarded for the Leadership in Women Empowerment. CEO of Dubai Cares Tariq Al Gurg was given award under the category of Humanitarian Contribution while Executive Vice President – FinTech Hive at DIFC Raja Al Mazrouie got Contribution to FinTech in the UAE award. Philanthropist of the Year award went to Hikmat, a prominent social worker and business woman. CEO of the Year award was given to Maaz Shaikh, CEO of the entertainment company Starz Play.